People choose tempered glass for a reason — these are more durable than regular glass. That’s why if you’d like to have some glass shelves, it’s better to choose tempered glass material so that it can last longer and can handle the weight more. However, part of keeping it for a long time is with how you take care of it. Here are three simple, tender loving care tips that you should do for your tempered glass shelves. Learn how to clean it properly. It’s much easier to clean tempered glass shelves than other materials as you can do it so with only some damp clean cloth. You can also take it off its hinges and wash it carefully with soap and water for a more thorough cleaning. However, don’t use anything rough on it to avoid any scratches. Handle it carefully. Whether you’re cleaning it or remodeling the panes, you should handle it more carefully. Sure, it may be tougher than annealed glass, but it doesn’t mean it won’t break. Dropping it could cause the panel beyond use. Don’t apply too much force in taking it off or putting it back. Don’t put too much load on it. If you put heavy stuff on it, it’s going to break easily and more quickly because of the stress. 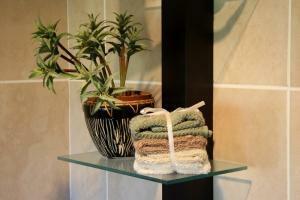 If you’re using it on your bathroom, you can use it as a towel shelf. You can even use the area for several decors. But don’t put a lot of items on it, especially heavy ones.